Bloggers, hackers, designers, statisticians and other citizens who are interested in Open Data and Transparency will gather online and offline for the International Open Data Day on February 22, 2014. The event takes place to encourage governmental data openness. Anyone can organize a local event in their city as long as the event is open for others to join. The attendees can participate in creating anything related to Open Data, be it with local or global applications, visualizations, scraping data from a government website to make it available for others or even organize a series of workshops with government officials, journalists or other stakeholders affected by open data. The hashtag that will be used for the even is, #ODD2014. Some Twitter users have already started posting their comments on the hashtag. #OpenData Day is community powered in a timezone near you. http://t.co/ImmMztmcUM #ODD2014 it's gonna be on 22 Feb so mark your calendar! Dozens of cities are participating in the hackathon. Announcements are also made on Twitter for local events in different places. Add your city to the list if it is not already there, and start planning for a local event there. Trash piled up for three days in Phnom Penh, Cambodia’s capital, as hundreds of garbage collectors went on strike to demand a pay hike and better working conditions. 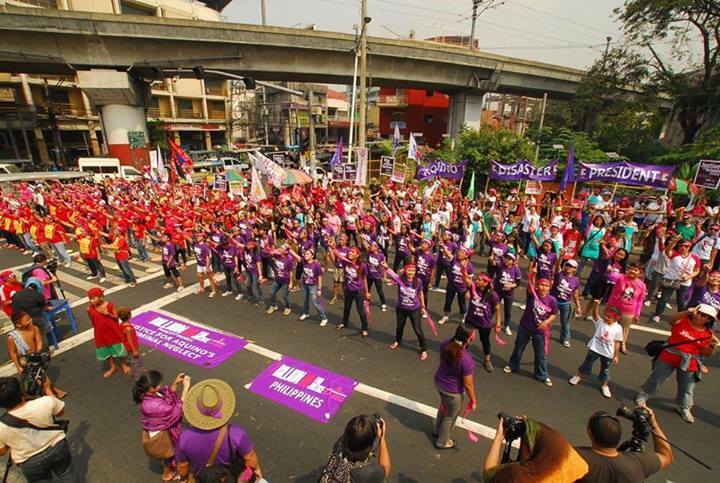 The strike ended on Wednesday, February 5, when workers agreed to a slight pay hike. 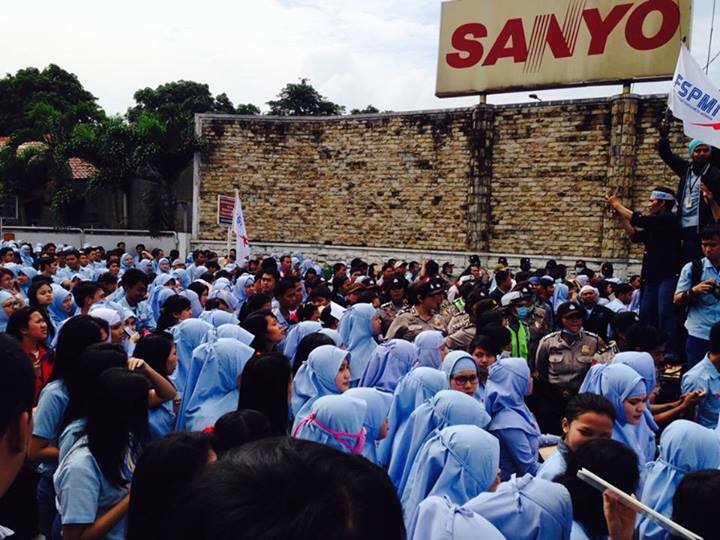 More than 400 garbage workers of the Cintri company refused to work last Sunday to protest their monthly salary of 65 US Dollars. 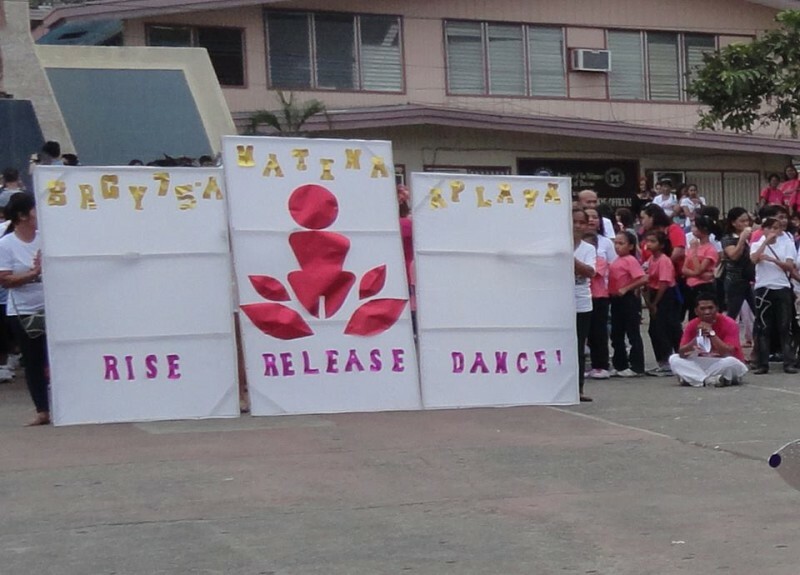 They vowed to dance until their demands are met such as a $150 monthly pay, health bonus, and overtime pay during weekends. Cintri, a subsidiary of the Canadian Firm Cintec, signed a 50-year exclusive contract in 2002 to collect Phnom Penh’s trash. Cintri management agreed to raise the basic monthly salary for general staff from $65 to $80, and from $70.5 to $95 for daytime waste collectors. Nighttime waste collectors were offered a salary increase from $97.5 to $110, and daytime garbage truck drivers were offered an increase from $110 to $120, and from $120 to $135 for nightshift drivers. But workers rejected the package. After several negotiations, and after several days of mounting trash in the city, both parties came to an agreement. Street cleaners will now get $90 per month and truck drivers will receive $130. In addition, a health care center will be funded by the company. The uniform fee charged against employees will be scrapped too. Good to hear that #Cintri workers come back to work. Yesterday nearly everywhere smell trash. Personally workers deserved salary increased. The garbage strike came right after the government violently dispersed a strike by garment workers who have been demanding a $160 monthly minimum wage. It was feared that the garbage strike will be dispersed as well because of the increasing presence of military and police forces in the city. 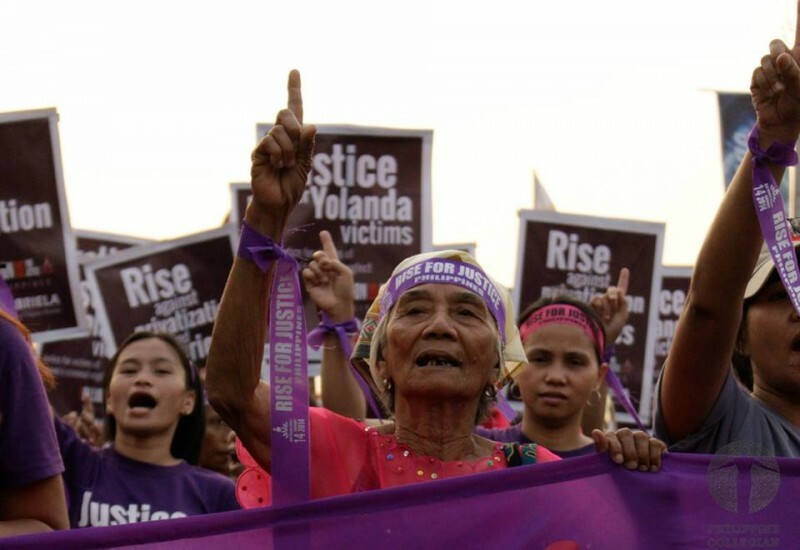 A video by WITNESS on the Human Rights Channel of YouTube wrapped up some of the most significant protests and human rights abuses of 2013. Dozens of clips shot by citizens worldwide are edited together to show efforts to withstand injustice and oppression, from Sudan to Saudi Arabia, Cambodia to Brazil. A post on the WITNESS blog by Madeleine Bair from December 2013, celebrates the power of citizen activism using new technologies including video, while readers are reminded that the difficulty of verification and establishing authenticity remains a big obstacle. Antoine Lavenant, with his girlfriend spent a year in Asia – China, Laos, Cambodia, Thaïland, Malaysia, Philippines and Sri Lanka. The video is a brief record of their exciting journey. 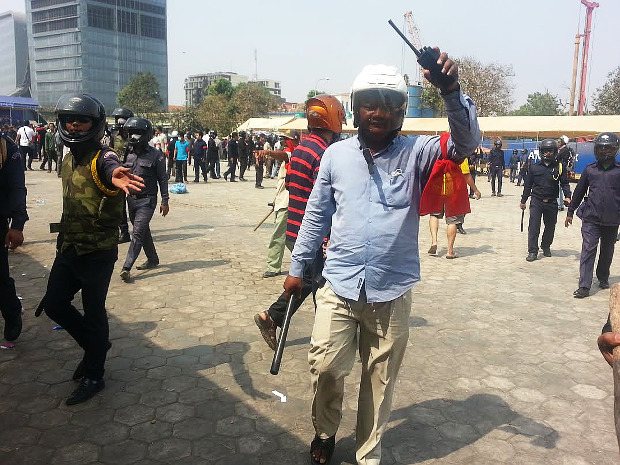 Civilians wearing red arm bands joined the police in dispersing the crowd gathered inside the Phnom Penh Freedom Park. Photo from Licadho. After the violent dispersal of striking garment workers, the government of Cambodia has banned the political opposition from staging more rallies in Phnom Penh, the country’s capital. Even the gathering of two persons in the streets is now prohibited. Four people died yesterday and dozens were injured after police opened fire at garment workers who have been demanding a monthly minimum wage of $160. Currently, garment workers receive $80 a month. Workers got the support of the opposition Cambodia National Rescue Party which vowed to raise wages if it assumed power in the country. The opposition has been holding daily protests at the Phnom Penh Freedom Park, also known as Democracy Plaza, to press for the ouster of the government of Prime Minister Hun Sen which has been accused of manipulating this year’s election results. The opposition has boycotted the parliament sessions even though it has 55 seats. The opposition was able to gather tens of thousands in the streets since December. 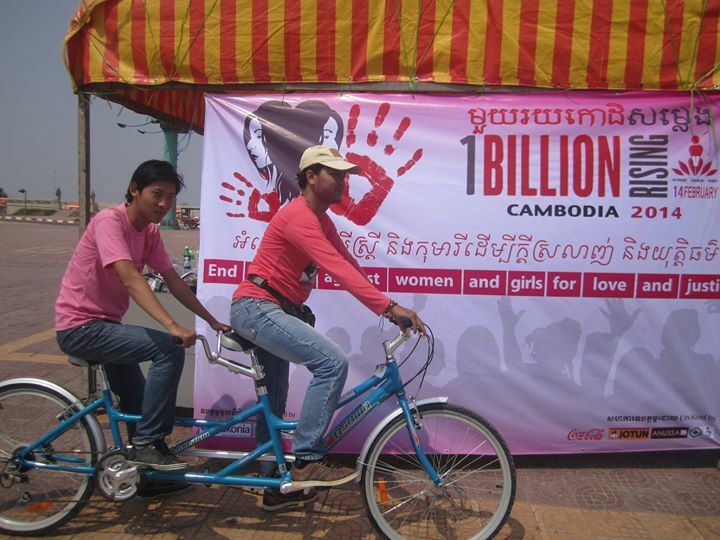 The protest was the biggest anti-government rally in Cambodia in recent years. Today, the protest camp has been forcibly removed by government forces. The local government said the opposition’s protest permit was cancelled because of security issue. The opposition CNRP announced that it will cancel a scheduled rally on Sunday because of the crackdown but it condemned the government repression including the reported issuance of arrest warrants against its leaders. Four are confirmed dead and dozens injured after police and military clashed with striking garment workers in the industrial area of Phnom Penh, the capital city of Cambodia. 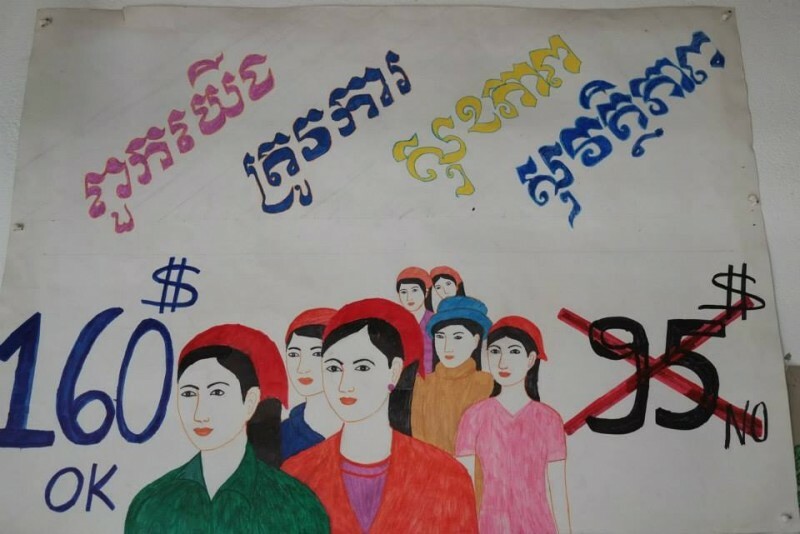 Tens of thousands of garment workers have been on strike since the last week of December after the government refused the demand of unions to raise the monthly minimum wage to $160. The current minimum wage is only $80 dollars and the labor council is only willing to grant a $15 dollar hike in basic pay. 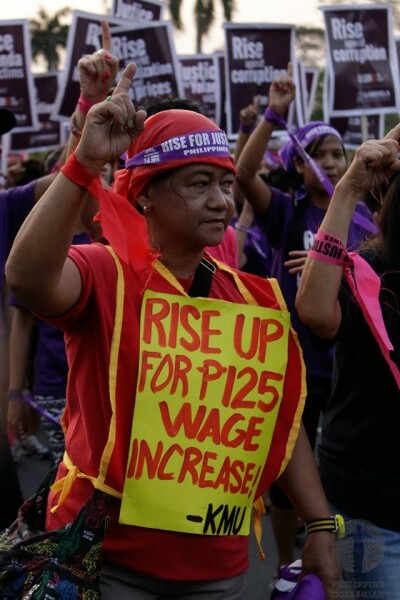 As protests intensified, the government agreed to raise the minimum wage by another $5. But workers have been firm in asserting their $160 minimum wage demand. The garment sector is a $5 billion dollar export industry in Cambodia which employs more than 600,000 workers. 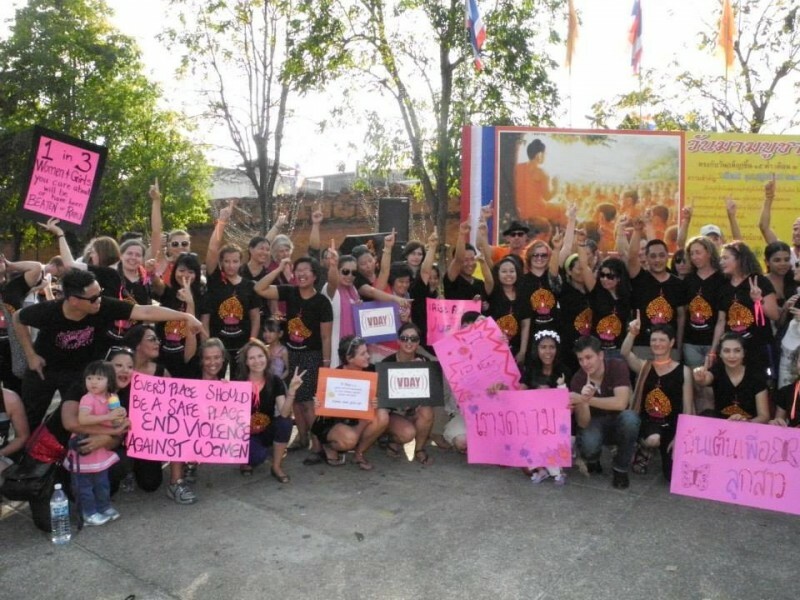 Many of the leading clothing brands in the world get their supply from Cambodia, which has one of the lowest minimum wage rates in the Asia-Pacific. 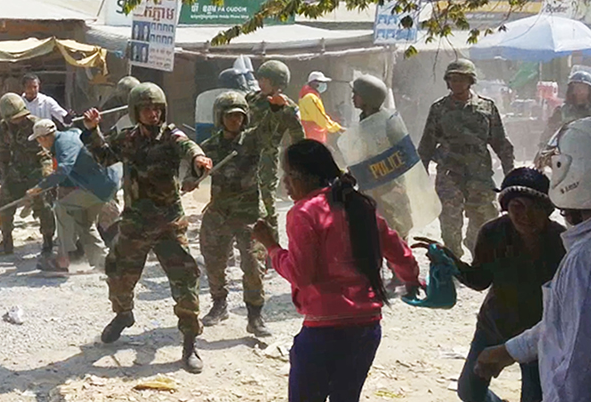 Tension rose yesterday when police arrested several protesters, including monks and human rights activists. In response, protesters set-up road blockades which the police tried to clear in the morning. Witnesses claimed that police used live ammunition in dispersing the protest. Workers got the support of the opposition Cambodia National Rescue Party which vowed to raise wages by $160 if it is able to assume power in the country. The opposition has been holding daily protests at the Phnom Penh Freedom Park to press for the ouster of the incumbent government which has been accused of manipulating this year’s election results. Prime Minister Hun Sen has been in power in the past three decades although his party lost many seats in the recent parliamentary polls. The opposition has boycotted the parliament sessions even though it has 55 seats. For its part, the government accused the opposition of provoking the violence to get public sympathy. The strike of garment workers and the opposition rally produced the biggest ever street demonstration in Cambodia in recent decades. 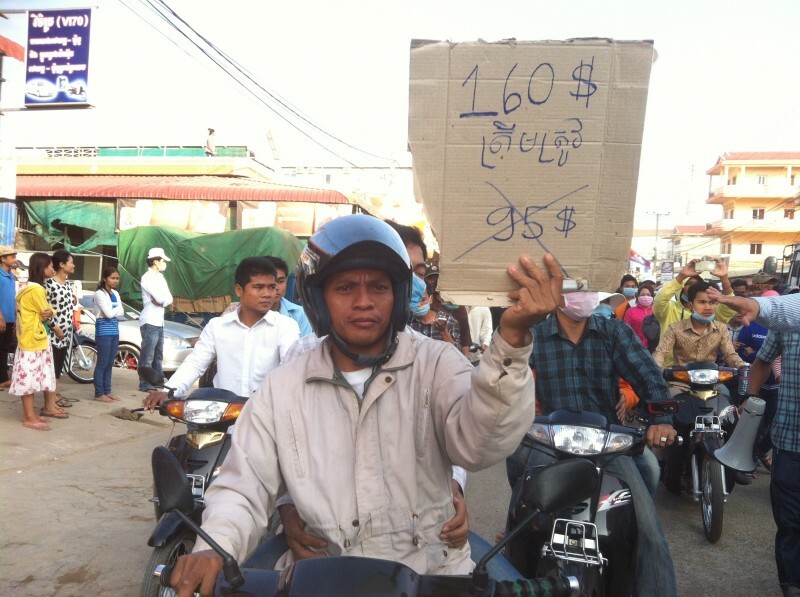 After today’s violence, the political crisis in Cambodia is expected to worsen. *Thumbnail used is from Facebook page of CNRP, Cambodia's opposition party. The Asian Forum of Parliamentarians on Population and Development has published a policy briefer that tackled the extent of human trafficking in Southeast Asia. Many Southeast Asian countries are at the bottom of a lot of the world's supply chains, including for food, garments, and technology. Yet few countries in the region have adequate laws for addressing corporate responsibility for human trafficking, including in their supply chains. Lagarde missed a major opportunity in Cambodia to highlight governance problems, but she can right this by speaking out when she returns to headquarters. If the IMF’s message on corruption is to be more than rhetoric, Lagarde needs to convey it both publicly and privately each time she meets with leaders of the world’s most corrupt nations. 1. 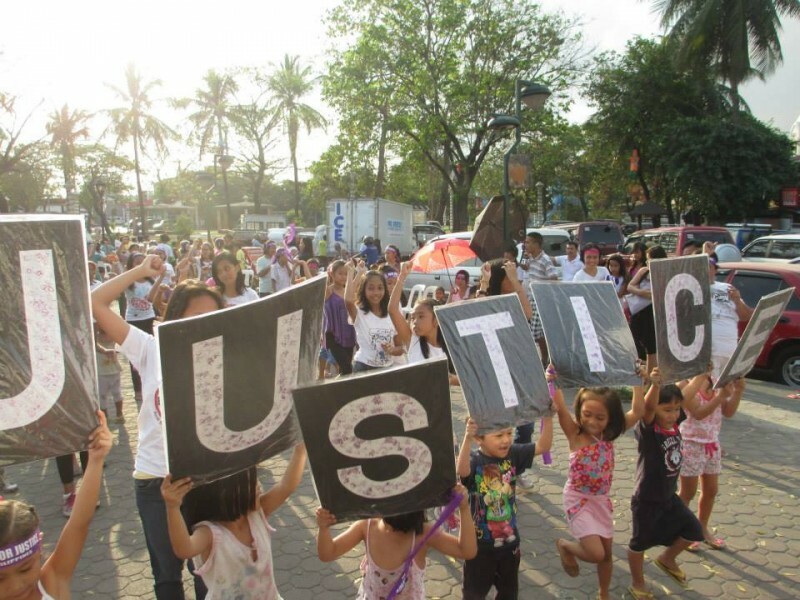 ‘Million People March’ Against Corruption in the Philippines. Filipinos were outraged after a whistleblower exposed how legislators have been systematically stealing from their pork barrel allocations. Netizens called for a massive gathering in Luneta, the biggest park in the country’s capital to push for the abolition of pork barrel. Days before the August 26 rally, the president and congress vowed to abolish pork but it didn’t stop citizens from joining the event. It turned out to be the biggest rally during the administration of President Benigno Aquino III. 2. Thailand protest against the ‘Amnesty Bill.’ Various sectors, including those supportive of the government, rejected the controversial ‘Amnesty Bill’ which was approved by the parliament on November 1. Opposition to the bill emerged after it was reported that the amended version of the measure would benefit corrupt politicians and human rights violators. In particular, the opposition party said the bill will ‘whitewash’ the crimes of former Prime Minister Thaksin Shinawatra who fled the country after being found guilty of plunder by a local court. The Senate eventually voted down the measure. 3. Anti-Government protest in Thailand. 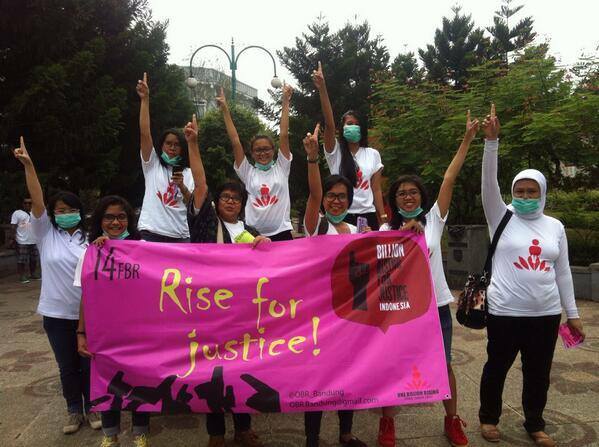 The shelving of the unpopular ‘Amnesty Bill’ didn’t end the protests in Thailand. More rallies were organized by the opposition but this time they started to demand the ouster of Prime Minister Yingluck Shinawatra whom they accused of being a proxy of her elder brother. Rallies have intensified in the past few weeks and protesters were able to occupy several government buildings. Yingluck announced that the parliament will be dissolved to make way for an election on February. But the opposition said they will boycott the polls and instead they wanted to set-up a People’s Council. Thailand’s political crisis is expected to deepen in the next few weeks. This video shows the size of a rally in Bangkok last November. 7. 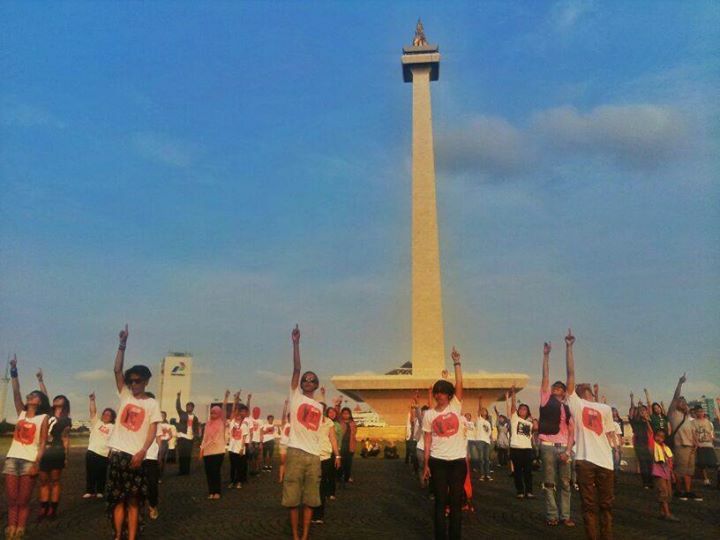 Indonesia General Strike for Pay Hike. Workers in Indonesia have launched a two-day general strike on October 31-November 1 aimed at pressuring the government to raise the minimum wage. Tens of thousands joined the factory shutdowns, union visits, and rallies across the country although the turnout was smaller compared to last year's general strike. You've been reading their stories and have been following them on Twitter for years, but have you ever met the Global Voices authors and translators covering your countries? This winter we launched our first official global in-person ‘meetups’ led and facilitated by Global Voices members, who live and know those local communities in six countries. And we are already half-way through! They will be sharing their experiences of bringing the virtual Global Voices mission, energy and love to very real offline audiences in their countries. 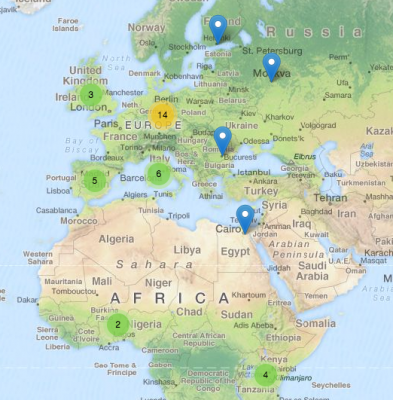 In Karachi, Kampala, Cairo and Skopje dozens of participants have already met GV members who facilitated peer learning and knowledge sharing in the field of citizen media. And #GVMeetup facilitators are getting ready to woe audiences in Porto and Phnom Penh next! More information on our Google + event page. …it would be erroneous to assume that Cambodia has relapsed into a one-party state simply based on the premise that the current assembly is being boycotted by the opposition just as it would be inaccurate to characterize the United States as a two-party system.